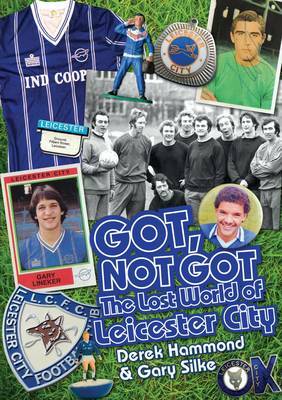 Got, Not Got: The Lost World of Leicester City is an Aladdin's cave of memories and memorabilia, guaranteed to whisk you back to Filbert Street's fondly remembered 'Golden Age' of mud and magic - as well as a City-mad childhood of miniature tabletop games and imaginary, comic-fuelled worlds. The book recalls a more innocent era of football, lingering longingly over relics from the good old days - Foxes stickers and petrol freebies, league ladders, big-match programmes and much more - revisiting lost football culture, treasures and pleasures that are 100 per cent Leicester City. If you were a Junior Fox, one of the army of obsessive soccer kids at any time from Gordon Banks lifting the World Cup to the early days of the Premier League, then this is the book to recall the mavericks - Worthington, Weller and Walsh, Lineker, McAllister and Shilton - and the marvels of the Lost World of Football.